HSE has been put on notice by families forced to go to court to access slides. 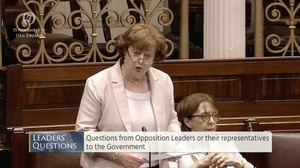 Social Democrats TD Catherine Murphy raised the CervicalCheck controversy and the inordinate delay some women are experiencing in accessing their slides – having also raised it last week. She said it’s her understanding that the National Screening Service ordered Quest Diagnostics – which was sued by the late Emma Mhic Mhathuna – to stop releasing slides back in August. And she said she understands that some women are going to go to the High Court to force the release of their slides. “They’re not people that should have to battle for anything else right now. Really, their whole focus should be battling in relation to staying as well as possible. “But unfortunately, that’s not the case. And I want to draw attention to the absolute contradictions that exist between the information that’s being put forward by the Taoiseach, the minister, the HSE officials and CervicalCheck and the actual lived realities for the women and their families involved. “Yesterday, I spoke to Cian O’Carroll, the solicitor representing many of the women impacted and he informed me, he is still chasing down slides from as far back as April or May. 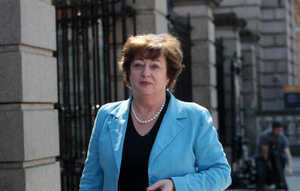 “And the HSE put a protocol in place in August, following which Mr O’Carroll engaged with them to try and improve it. Yet, since the 10th of September, when he provided suggested improvements, they have had no engagement. He has no engagement from or by the HSE. That’s more than two months ago. “The Taoiseach agreed with me in the chamber last week that there should be no further or undue delays. 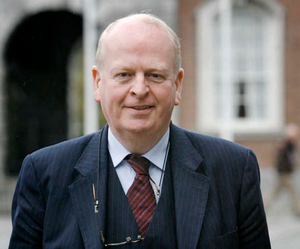 Previous to that, the Taoiseach told the house that no woman should have to go to court. “But I’m being told that there’s an appeal, that there will be an appeal to the High Court to force the release of the slides for these women and their families. “And they’ll be put through that torture, it’s totally unnecessary Tánaiste. “Seven women have come forward to me, to tell me, they’re part of the 221-plus group, to tell me that they’re waiting an inordinate amount of time for access to their slides. “Yet that jars completely with what the HSE told the Public Accounts Committee last week. They said the average waiting time, for women who had requested the slides, was 22 days and that the HSE had put a specific unit in place, just to deal with this. “Yet, here we have these women saying that that’s not the reality that they’re experiencing. “And I understand that the National Screening Service ordered Quest Diagnostics, back in August, to stop releasing slides. “I also understand that where previously it was the norm to include the accompanying laboratory reports with the slides, they’re not now being released. “So it’s clear that the experiences and the information given to me, that the HSE have become far more legally focused and less patient focused on this issue and the goalposts are moving for these women and their families and they can’t continue to be treated like this, Tánaiste. “Seven people who have contacted me, who are caught up in this, who are directly impacted on it, why would they be contacting me? What would they be doing that for if this was working? “Just ask yourself that question. I’ve been told that the HSE has been put on notice that there will be a case in the High Court to demand these slides, why would that be happening if this was working satisfactorily. “This is not working satisfactorily and it’s absolutely, it’s absolutely unacceptable that they should be forced to go to court, just to get their medical information. 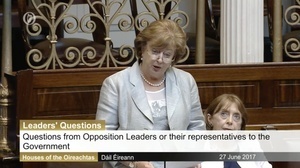 Last week, Ms Murphy told the Dáil she had been in contact with women who have been waiting six months for their slides. “I was contacted by the husband of one of the 221 women who have been caught up in the scandal. He told me that the majority of women who requested their slides have not got them six months after they requested them. Some time ago I looked at the MedLab Pathology and Quest Diagnostics contracts and raised the matter at the Committee of Public Accounts. Taoiseach Leo Varadkar said he’d look into the matter and couldn’t understand that women were waiting months when it should take a “couple of weeks”. 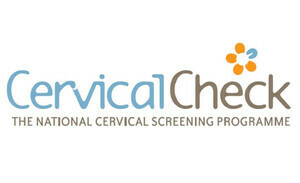 Posted in Misc and tagged 221, Catherine Murphy, CervicalCheck, slides at 1:26 pm on November 15, 2018 by Bodger. Cian O’Carroll may be a solicitor, but he is doing a good job! This shenanigans with HSE is shocking. If there is a reason that they aren’t providing the slides they should be up front about it. Yeah this is all messed up. I can’t imagine what kind of “dog ate my homework” excuse will come forward from this one. 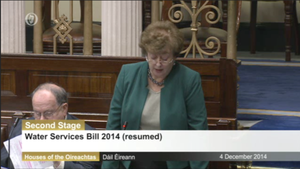 They’ve allowed the Dáil to be used for filming the Christmas Special of Mrs Brown’s Boys ? at this stage blushirts must find is very satisfying to drag sick or dying women through the courts.. Personally, I blame 60%+ of the voters who can’t resist shooting themselves in the face every every few years the get told what to think about democracy and leadership….